Celtic Butterfly Journal, Book of Shadows with Elastic Band Closure! Celtic Knotwork Ceremonial Athame or Letter Opener! 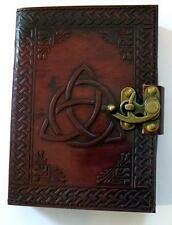 Triquetra Pattern Leather Bound Book of Shadows, Journal, Diary! Celtic Triquetra Altar Cupboard for Herbs, Altar Tools, Etc.! 18"x18" Purple Triquetra Altar Cloth! Triquetra Soapstone Altar Tile, Cone Burner, Candle Holder! Celtic Flower of Life Velveteen Pendulum Mat! Celtic Spirals Jewelry Cage Pendant w/Aromatherapy Lava Bead & Red Harmony Ball! 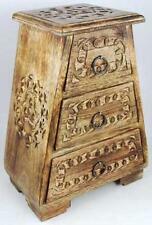 Wood Celtic Knot Treasure Chest! Magic of the Celtic Otherworlds: Irish History & Lore, by Stephen Blamires! 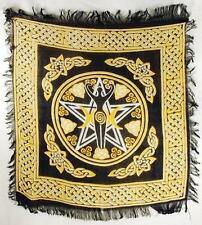 Black Velveteen Celtic Pendulum Answer Mat! Colorful Celtic Pendulum Ouija Answer Mat! Black Celtic Pentacle 4" Art Glass Pyramid! Green Celtic Triskele Sealing Wax! Laser-Cut Celtic Knot Tarot or Stash Box! Celtic Crescent Moon Pendant with Black Tourmaline Stone! 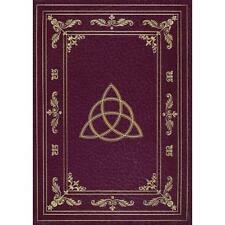 TRIQUETRA Book Box, Tarot Box! Celtic Crescent Moon Pendant with Amethyst Stone! Tie-Dyed Celtic Electric Goddess Spiral Tapestry, Wall Hanging, Altar Cloth! Celtic Crescent Moon Pendant with Rose Quartz Stone! Camelot Burning by Kathryn Rose! Colorful Celtic Triquetra Tarot, Runes, Crystal Bag! 36x36" Purple Triquetra Altar Cloth! 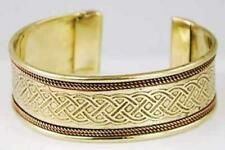 Celtic Weave "Wreath" Style Pendant! Stylized Celtic Interwoven Knot Pewter Pendant! Black Velveteen Celtic Knot Tarot, Crystal or Rune Bag! White Celtic Triquetra iPhone Cover! 18x18 Fringed Purple Pentagram Altar Cloth! Green Celtic Triskele iPhone Cover! Colorful Celtic Pentagram Tarot, Runes, Crystal Bag! Adjustable White Metal Filigree Toe Ring! Stainless Steel Triquetra Tongs for Incense & Charcoal! SIZE 9 Celtic Pentagram Ring!